Definitely not for the faint of heart...! Conquering Mt. Pinatubo has been at the back of my mind for years. But never got around to doing it because I dread the trek on lahar valleys under the heat of the summer sun. Gone where the days when I'd say yes to a trek in a heartbeat. Then, some friends suggested Pinatubo for May 1. Mustered enough courage to do it thinking that there is a shorter trail, so organized a group for the said day. 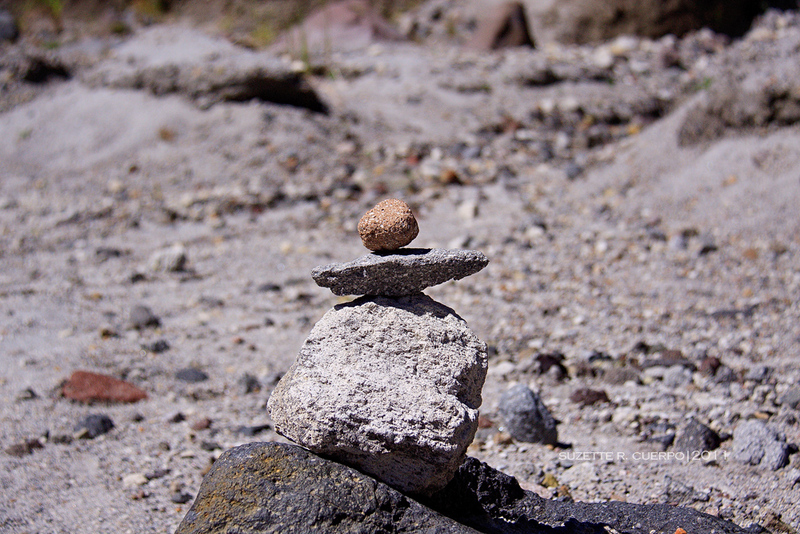 Walking through the lahar valley was like walking in a desert. Hot, humid and arid. No shade except under big boulders or the shadow of lahar mounds that look so fragile it feels like it will crumble anytime. The trail is beautiful in a strange way. You pass by lahar mounds several feet high that dwarfs the trekkers, some bare, a lot with some form of vegetation, a lot of "suk tahp" along the way maybe to mark the trail, sulfur deposits oozing from under the ground, several streams to cross that leaves you with wet cold feet and about a gram of sand/lahar on your feet all the time. As the guide said, the scenic sight changes every year, especially after the rainy season, as the mounds shift and move or disintegrate due to heavy rains. So what I might have seen may not be the same by now or by same time next year. 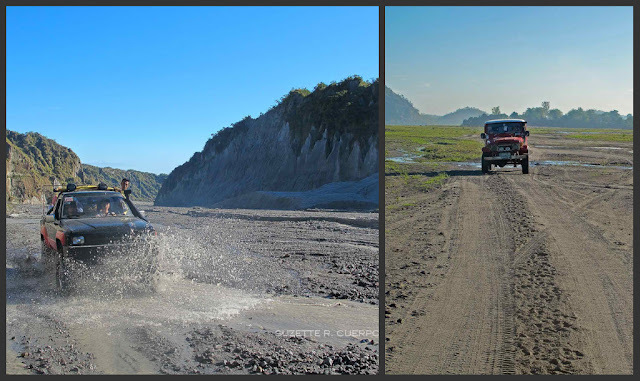 Will I do it again?...naaahhh...maybe when access to Pinatubo will be easier---a zipline maybe or a chopper (hahaha). But no, I never regretted doing it though. I'd say that conquering Mt. Pinatubo caps my mountaineering days. A very apt place to close that chapter of my life. Mt. 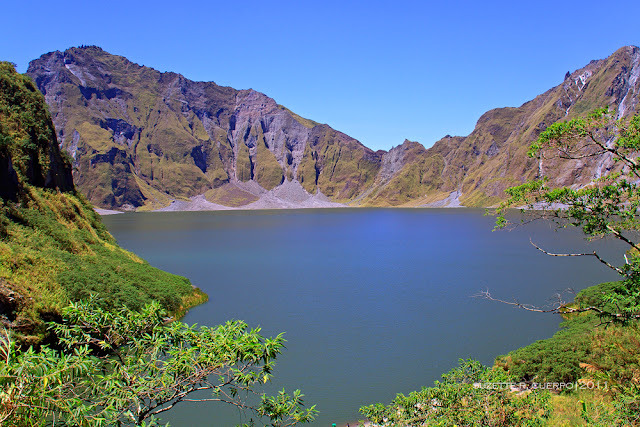 Pinatubo is an active volcano that is inhabited by the native Aetas in Northern Luzon. 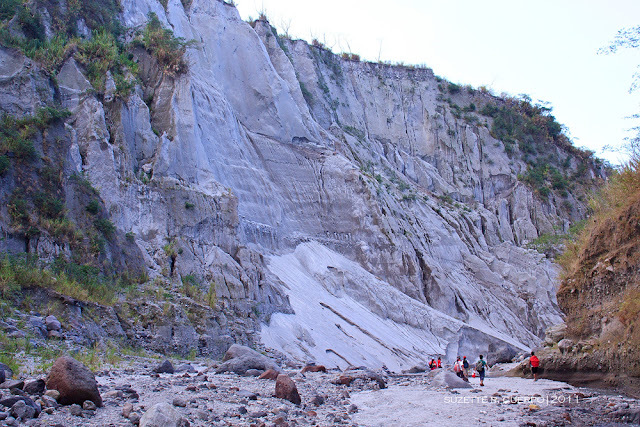 The most explosive eruption that happened in 1991 deposited pyroclastic materials up to 100 meters thick on all sides of the mountain and devastated a large area of Luzon with lahar flows and thick clouds of ashes that rendered most of Luzon pitch dark and nearby towns gone and buried by several cubic meters of lahar. The ashfall was recorded as far as Malaysia, Vietnam and Cambodia. Nowadays, what was once a site of devastation has become an attraction to extreme adventurers. 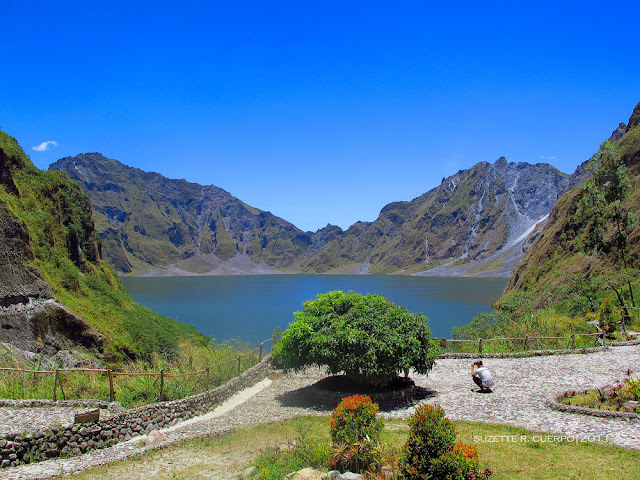 What was once a huge gaping hole in its crater is now a lake, Pinatubo Lake, with beautiful calm cyan waters on most days. There are several groups oraganizing tours to Pinatubo. Fees usually include 4X4 ride, guide and transportation to and from Manila. Jump-off place is usually at the Spa complex in Santa Juliana, Capas, Tarlac. If you are doing it on your own, there are buses that leaves for Lingayen or Dagupan from bus terminals in Manila, Cubao and Pasay. Get off at Capas, Tarlac, then take a public jeepney to Patlin, where you can take a tricycle to bring you to Santa Juliana. If you have a car, you can take the North Expressway, exit at Sta Inez to MacArthur Highway (the old road to Baguio) to go to Santa Juliana, Capas, Tarlac. If you are joining an organized group, it can range from P2,000 to P3,500 depending on the number of persons. Fees usually include transportation to and from Manila, permits, 4x4 ride, guide fees. Food and certificate of conquest are optional and additional cost. It is advisable to get a local tour guide. Aside from being their means of livelihood, they are familiar with the terrain and is much safer. * and the spirit of FUN and ADVENTURE....! The crater lake's color seem to be turning into blue again. 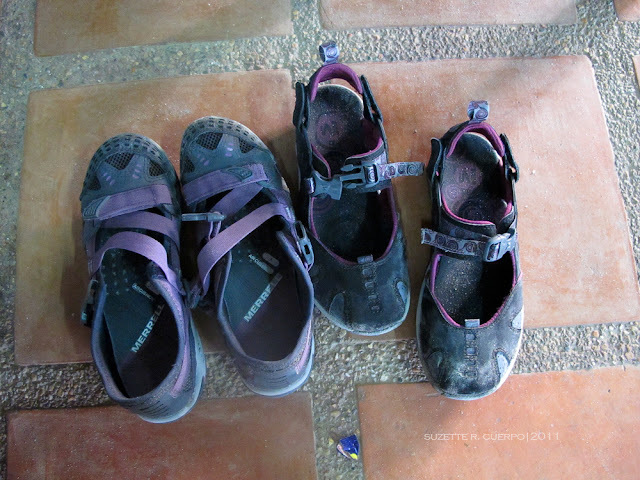 I'd love to see the color in cyan, but I think 1 trip to Pinatubo is enough. Hay. Tagal ko na rin gustong mapuntahan 'tong Mt. Pinatubo pero 'gang ngayon di ko pa nagagawa. The 5.7kms trail including the 4x4 ride seems to be very exhausting pero mukhang unique na adventure. :)Thanks for the tip. Balikan ko'to kapag may time na ko pumunta dito. @Framelessworld: Para sa akin na matagal ng hindi nag-trek, talagang parusa ang dating ng 5.7kms (x2) na yan. But yes, unique adventure nga. Feel free na balikan ito pagpupunta ka na. Salamat din for dropping by.